CGC Signature Series 9.8. 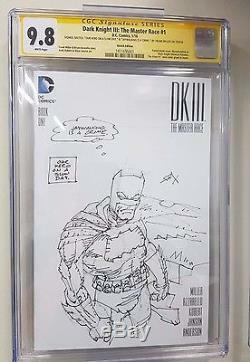 Dark Knight III: The Master Race #1. 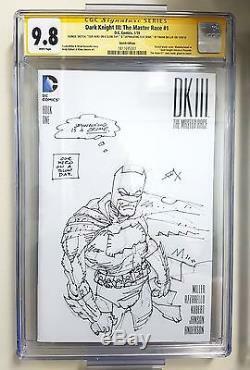 Signed and sketched by Frank Miller. AWESOME SKETCH - "JAYWALK IS A CRIME" and "OUR HERO IN A LOW DAY" by Frank miller in Grade! THE ITEM IS NM / M CONDITION THE CASE IS PERFECT. 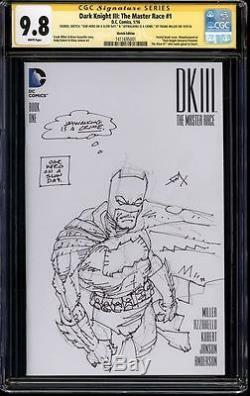 The item "Dark Knight III The Master Race #1 Batman Sketch Frank Miller 9.8 CGC SS" is in sale since Tuesday, February 28, 2017. This item is in the category "Collectibles\Autographs\Other Collectible Autographs". The seller is "tom_samot" and is located in São Paulo.